Cab Franc is a major black grape frequently used in blends, but it can also be enjoyed as a single varietal. 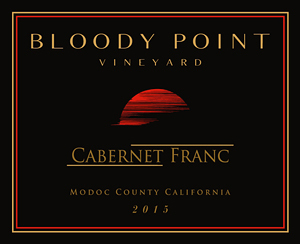 Normally a lighter red than Cabernet Sauvignon our Cabernet Franc is a deep rich red color. It has aromas of cassis, raspberries, violets, and bell pepper. Our intense sunlight diminishes the chance of vegetive flavors. We needed a grape that could ripen and thrive in our harsh winters and cool springs, and Cab Franc fulfills that requirement very well. Our volcanic soils and intense sunlight give this wine a rich, complex profile. It pairs well with grilled steaks and chops, as well as dishes with mushrooms and green olive profiles.